Vinyl indoor banners can attract customers to your storefront if they can be seen from your business' windows. Custom backdrop printing can send messages to your target audience in creative, noticeable and effective ways that will make an impression of your business right away. Using these custom indoor vinyl banners is an effective way to promote special deals and messages to loyal customers and prospective clients who are walking by an establishment. Businesses can make the most of their indoor vinyl banners if they place them on a wall that is parallel to a set of windows; this way you can grab the attention of others walking by without having to say a word to them. Custom printed banners provide a no-hassle way to let the community know that you're having a grand opening or celebrating 25 years in business, for example. 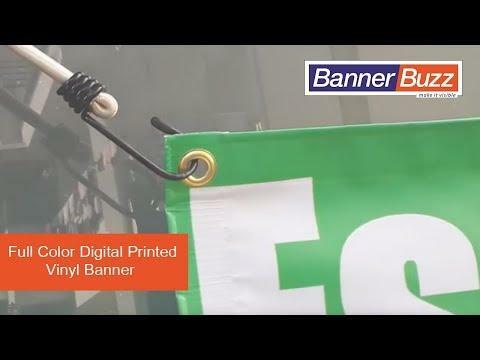 Whatever message you're trying to promote, let BannerBuzz help you spread the word with a custom printed banner. It's also a great way to let people know about any special sales or promotions your business will be running. Remember to keep the lingo brief and straight to the point! 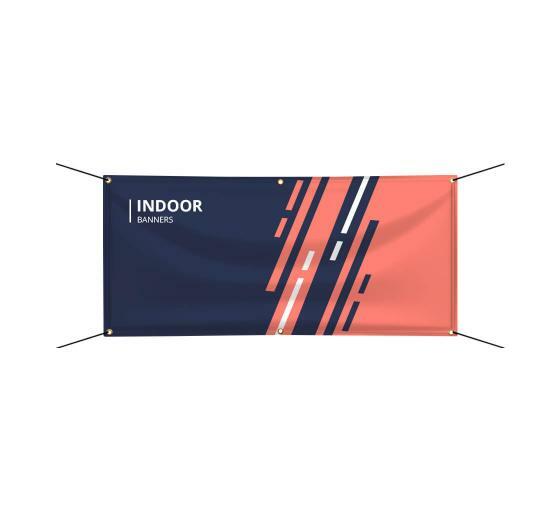 Our indoor banners are built with 13 ounces of high-quality, UV-resistant vinyl, which means they are versatile to take along to outdoor events or trade shows. Because of their multiple uses, displays by BannerBuzz will give companies more out of their investments than those from other vendors. On top of that, our custom printed banners are made using high-quality printing equipment that ensures each order will be vibrant and full of color. Check out our gallery of templates and see which one best represents your company. We also invite all of you to look into our web application to design your own in case you want to include custom graphics and other details that our samples cannot provide. We are so confident in our 100 percent price guarantee that we will give you the fastest banner delivery on all our indoor custom printed banner orders!